Which Caviar Is Best For Your House Party, Royal Beluga Or Siberian? If you’ve never bought caviar before, it can be difficult to choose which one to buy. Here are two very different but equally tasty varieties. If you were asked to name a luxury food item, chances are you’d say caviar, which is why I love to serve it at all my house parties. It’s been that way for a long time too. You might think of it as a relatively modern luxury, but caviar was enjoyed by the Ancient Greeks and Romans, so it’s more than earned its place at some of the poshest dinner tables. If you’re going to treat yourself and your guests to some caviar, you’ll understandably want to buy the best kind. Royal Beluga and Siberian are two of the most popular caviars out there – so here’s a guide to help you decide on which is right for you. Royal Beluga caviar is the definition of a delicacy. 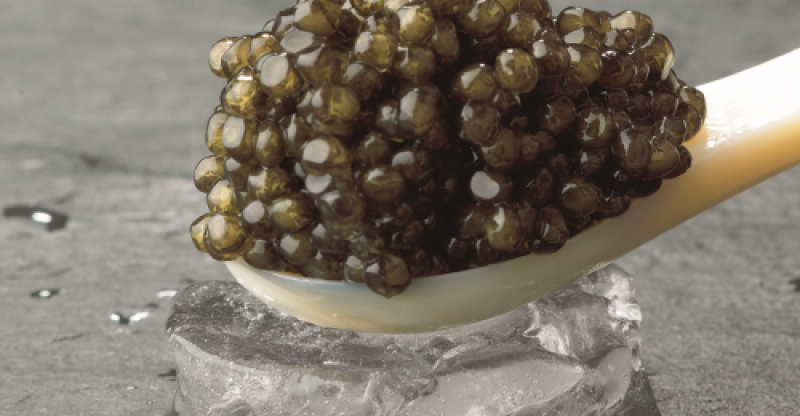 This caviar comes from the Beluga sturgeon, which is believed by connoisseurs to yield the very best roe. The taste is what sets it apart from other kinds of caviar. It’s delicate with a hint of walnut, and the texture is incredibly soft and creamy. If you’re not a caviar convert, you will be after trying this! However, thanks to its popularity, the Beluga sturgeon is rare – and buyers should always make sure that their caviar is sustainable. Providing you do that though, this would be an incredible addition to any dinner party menu. Siberian caviar is the chef’s favourite, and you’ll find it in many Michelin starred restaurants. It may come from some of the most farmed fish in the caviar industry, but the taste and quality are anything but run of the mill. Thanks to tight regulations and great conditions for the fish, each batch is as delicious as the last. It’s got a rich, almost buttery taste and melts in the mouth. If you want a caviar that’s going to taste great time after time and is available a reasonable price, Siberian is the way to go. Whatever caviar you’re going to be tucking into, it’s important that you serve it correctly. Never use a metal spoon – it will ruin the delicate flavour of your caviar and leave it tasting unpleasantly, you guessed it, metallic. Instead, use a mother of pearl caviar spoon. This won’t alter the taste of your caviar in any way, and they look beautiful as well. What kind of beverage you eat your caviar with is entirely down to you – but it does go very well with champagne! In the Middle Ages, there were laws that restricted the sale of caviar so that it could be reserved for the monarchy. Thankfully, we’ve moved on a lot since then. It’s really easy to buy caviar online, just as you would any of your groceries – so there’s no excuse not to treat your guests to some at your next soiree. Which one should you chose then – Royal Beluga or Siberian? Both have great qualities, and while they taste different, they’re equally delicious. If it’s a really special occasion, you could always splash out on both and let your guests decide. Whether you do get both or just choose the one that suits your tastes, you’ll become the most popular dinner party host in town! Chloe Cotton is editor-in-chief at The Happiest Homes, a leading UK digital home and lifestyle magazine.